On February 14, 1952, American artist Louis Paul Dessar died in Preston, Connecticut. 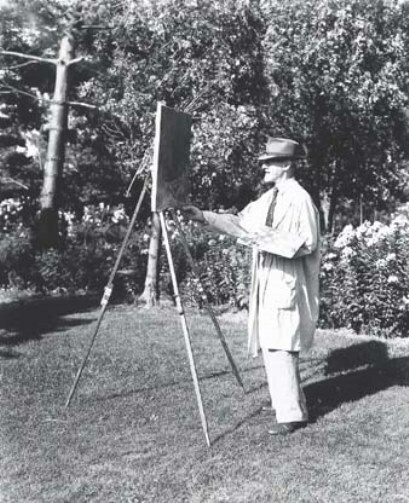 Internationally known as a tonalist painter (a technique using glazes and varnish to replicate the golden tones of Old Master paintings) Dessar began his career as a portrait painter after graduating the College of the City of New York and the National Academy of Design—studying under Lemuel Wilmarth and John Q. A. Ward. In 1886, Desser continued his studies in Paris under William Bouguereau and Tony Robert-Fleury at the Ecole de Beaux-Arts. Upon returning to the United States, Henry Ward Ranger introduced Dessar to what became the most famous art colony in the United States—the Old Lyme art colony. Dessar joined Ranger in 1900, staying at Miss Florence’s boarding house. 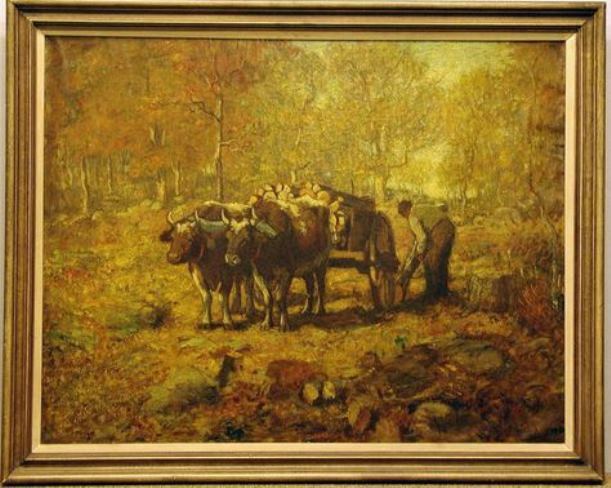 The Old Lyme art colony played a major role in the development of American Impressionism and it was there that Dessar decided to settle, buying a 600-acre farm on Becket Hill in Lyme. Louis Paul Dessar’s work can be found in the permanent collections of The Florence Griswold Museum, Yale University Art Gallery, the National Academy of Design Museum, the National Gallery of Art, the Smithsonian American Art Museum, and the Metropolitan Museum of Art. “20th Century American Country Landscape Painter Louis Dessar.” Florence Griswold Museum, 2017. Link.